When I am browsing at antique shops or estate sales I always look for items that include names, dates and places that might help to identify their original owners. Some of my favorites are photographs, family bibles, letters, and postcards. I have also found several autograph books which tell very interesting stories about their original owners. A recent example was an autograph book owned by a fourth grader named Carolyn Reeves. Several of the early entries were dated 1957. The name of her school was Sally Curtis and her home address was 725 Yount Street. A Google search for Sally Curtis School revealed Sally Curtis Elementary School at 6225 North Circuit Drive in Beaumont, Texas. 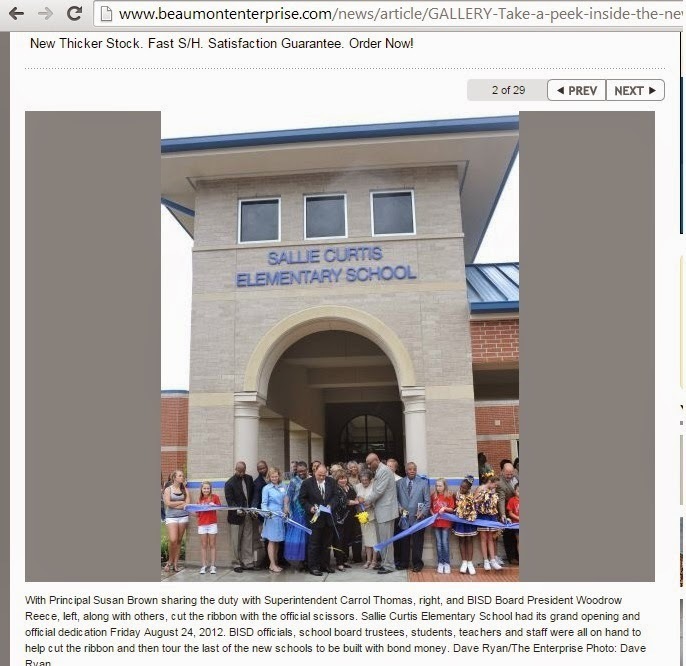 The Beaumont Enterprise featured an article dated Aug 27, 2012 – “Sallie Curtis Elementary opened this morning, bringing the district one step closer to finishing up the $389 million bond...” This made me wonder if the school had been moved to a new location so I decided to look for a listing in the Beaumont City Directory on Ancestry.com. The City Directory for 1957 listed Sally Curtis School at the same address. 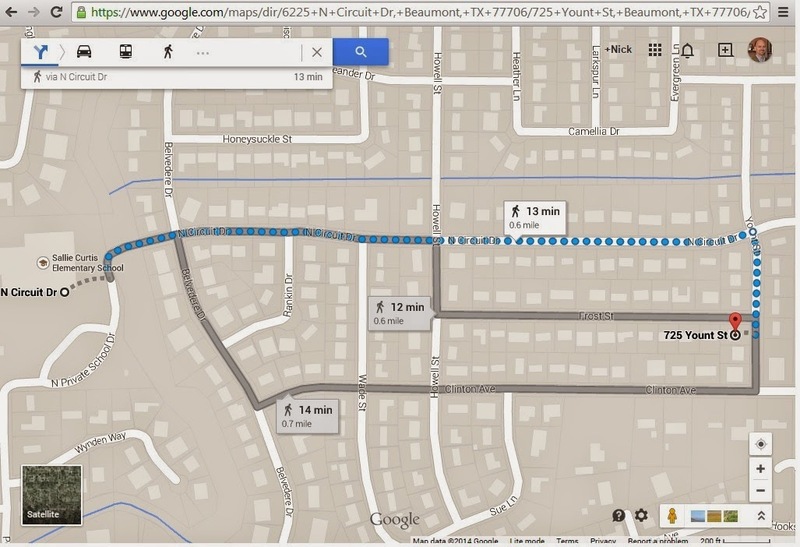 A search of Google maps revealed that the Reeves home at 725 Yount was just a few blocks away from the school. Looking for Reeves in the City Directory, I found that Carolyn’s parents were Eugene J. and Nalda Reeves. 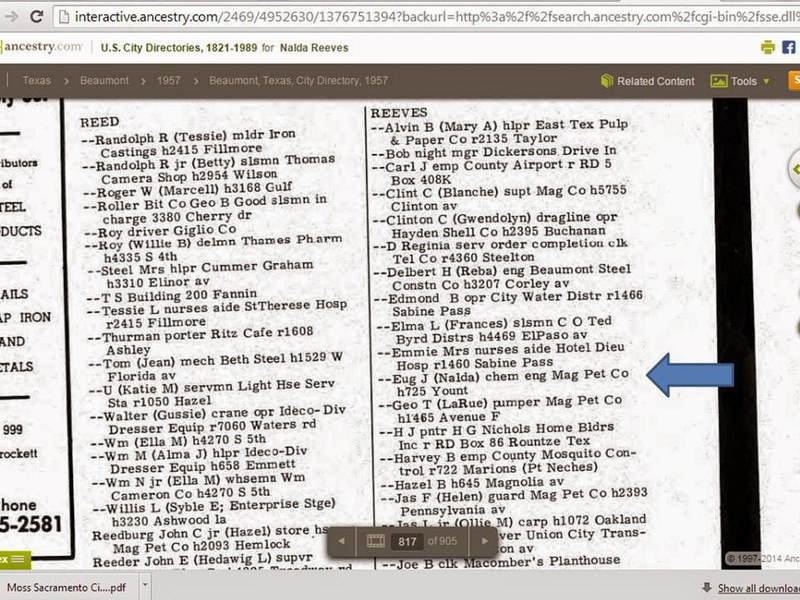 Eugene was a chemical engineer at “Mag Pet Co.” I was not sure what that abbreviation stood for so I went to the page with the “Mag” listings and found Magnolia Petroleum Company located at the east end of Burt Avenue in Southeast Beaumont, Texas. OK so now I was hooked on this little Ancestor Puzzle! I began searching for all of the records that I could find on Eugene, Nalda and Carolyn Reeves. I estimated that Carolyn was born about 1947 and that her father Eugene was born 25 years earlier in 1922. Several searches later I ran across a listing on FindaGrave.com for Eugene Joseph Reeves born January 26, 1921 and died January 8, 2010. The FindaGrave memorial included his obituary which stated that he was a chemical engineer. He was survived by his wife Naldia Peteete Reeves of Beaumont and daughter Carolyn Jean Reeves of Clear Lake, Texas. At the bottom of the FindaGrave memorial there was a “Family Link” to his daughter Carolyn Jean Reeves (1947-2011). Carolyn’s obituary was also included on FindaGrave. She was a math teacher at Clear Lake High School before her retirement. She loved her family, playing blackjack, eating Mexican food, steamed crabs and traveling on cruises. I contacted the husband of a friend who also retired from Clear Lake High School and they knew Carolyn very well. He offered to arrange an “Heirloom Reunion” with a family member. Do you have an heirloom that you would like to reunite with a descendant? I have been able to facilitate many reunions by searching for descendants. I would be happy to offer advice on your search or do the research if you prefer. I have many more of these stories to tell. I enhance the stories with visual aids and it makes a fun presentation for your club or society meeting.